I talked to a YouTube creator a few months ago that was just starting his blog…after more than five years as a creator and 50,000 subscribers! It struck me as a huge missed opportunity. The creator had no email list, no community off YouTube and was struggling to keep subscribers coming back to the videos. Fast-forward to last week, the creator had turned their new blog into a revenue source making over $3,000 a month in addition to his YouTube income. The average number of views on each video has almost doubled and he’s now at almost 100,000 subscribers! Even this story of success, leveraging a blog with a YouTube channel, hides some of the biggest reasons every creator should have a blog and social media strategy. It’s not just about promoting your channel but about amplifying your message across platforms and building a community that will follow you anywhere. Let’s look at why every creator needs a blog before detailing how to use a blog to promote your YouTube videos. Then I’ll share how to create a social media strategy that will take your videos viral. Why Should Every YouTube Channel Have a Blog? When I first started my YouTube channel in 2015, it was simply to have a place to host video summaries of my blog posts. 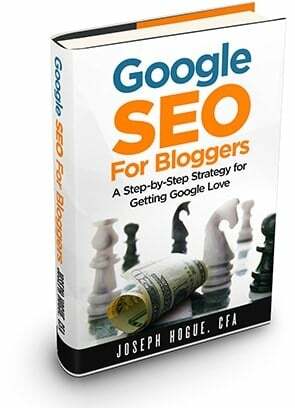 The idea was that I would create two-minute summaries to embed on the blogs that would offer readers another media format and keep them on-page longer, an important signal of quality for Google SEO. The videos did their job on the blog but did nothing for the YouTube channel. Of course, I didn’t really care about the channel so it didn’t matter that I only had 22 subscribers by the end of 2017. When I started using YouTube and my blogs together, leveraging the strength of each for mutual benefit, that’s when the real magic happened. That’s when I gained over 36,500 subscribers in a year and am on pace to reach 120,000+ by the end of two years. Using a blog in your YouTube strategy is like having a continuous collaboration, always being able to help each other and grow. First is through embedding your videos in articles. The current understanding is that if someone watches roughly half of your embedded video off-YT then it counts as a view and watch-time. Of course, this can always change and it’s probably the least of the benefits to having a blog. The real benefit is that you’re building a community on both mediums, on your blog and on the channel. 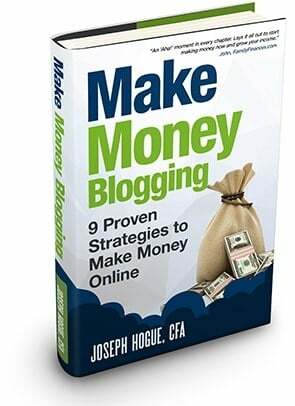 Your blog is going to be attracting people from completely different sources like Google search and other blogs. By using the blog and channel together, you’ll grow community to each faster. Having that written content medium with a blog also opens you up to more opportunities for monetization. While a lot of sponsors and advertisers are shifting their budget to video, they still spend the majority to traditional content. By being able to offer sponsors a video and the transcribed blog-post, you effectively double their exposure with little additional work on your part. Finally, and perhaps most importantly, is the fact that YOU own your blog. I’ve got a lot of friends that built their entire business around their Facebook pages and groups. It was an easy solution for years, easy traffic and very little cost. Then Facebook started shifting to a pay-to-play model, limiting the reach of pages unless the owner ran thousands of dollars in ads. There was nothing anyone could do and many had to start over from scratch. 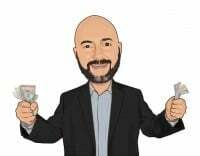 As an online entrepreneur, one of the most important things you can do is constantly ask yourself, “Where does my money come from?” What are the assets you own and what would happen if sources you don’t own changed their business model? It’s part of the reason I diversify my income across seven sources from self-publishing to affiliates and ad revenue. It’s also the reason I make money on my own blogs as well as 3rd party platforms like YouTube and Facebook. We’ll walk through five strategies to using a blog with your YouTube channel. As you read through each and brainstorm other ideas always keep a main goal in mind, how can you use each resource to benefit the other. That’s the main point here. 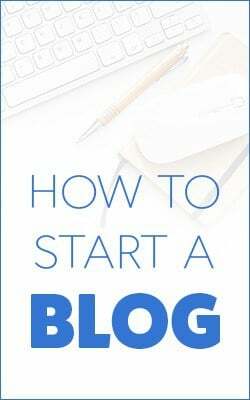 As I learned, it’s not about using one site solely to grow the other but using your blog to grow on YouTube and using your channel to grow the blog. Sidebar items don’t result in a tidal wave of clicks but they show on every page and will bring you subscribers. You can also use the button in other places and it’s just an easy way of letting people know you’re on YouTube as well. We talked about adding links in the previous chapter on setting up an YouTube channel. The links will show at the bottom of your About page and you can designate some to show on your channel banner as well. For smaller channels just starting out, you might want to limit the number of links you show on your banner. While the idea is to send people to your blog and grow your community, YouTube penalizes channels that send a lot of traffic off-site. It’s not a problem for larger channels because you’ve already got the momentum to keep growing but smaller channels need to be strict with the number of outbound links. That said, there’s nothing wrong with posting a few links on your About page. Link to your blog home page as well as important lead magnets. If someone is interested enough to visit the About section of your channel, they’re probably close to becoming part of your community so give them as many options as possible. I script all my videos so this is an easy one but might be a little more work if you generally just record from notes. If you don’t script your videos, you can always just create a blog post as a summary or hire a freelancer to transcribe the video. As we talked about in our post on making money on YouTube, transcribing your videos gives sponsors another touch-point with the audience. That’s a great selling-point to pitch sponsors that aren’t yet sure about video or haven’t allocated much of a budget. They get twice the work from their sponsorship dollars. Of course the best part about creating blog posts around each video is that you can embed the video and promote your YouTube channel. You get twice the work from each video with no more effort. Take it from someone that runs four blogs and a YouTube channel, it’s a huge time-saver. Write a brief introduction to the post before embedding the video. Something to warm people up and tell them what they’ll learn. I like to embed the video right after this introduction. Video is something most blogs don’t offer so it’s a nice added feature. You can embed your video at the end of the post but many readers might not even see it. Immediately below the video embed, write out a few sentences on what you talk about on the channel and why people should subscribe. Then link your subscribe code so that people clicking over will automatically be asked if they want to subscribe. You’ll need to edit some parts of your video transcript, specifically the callouts where you reference a link in the video description. You’ll also want to add on-page SEO points like section headings and internal links. Promote your blog post just as you would any other post. Maybe the biggest benefit to putting your videos up as blog posts is that extra first-day boost to your videos. I upload the transcribed post before the video goes live and just schedule the blog post to publish a couple hours later. This gives me time to grab the embed code or URL for the video and update the post. Within six months of developing my YouTube channel, visitors from the video site were within the top five traffic sources. Not only that but they stayed longer and clicked through more pages that any other traffic source. Of course, the preference is usually going to be to reference one of your other videos and keep people on YouTube. This will make it more likely they’ll subscribe to your channel and helps trigger the YouTube algorithm to show your videos to more people. But if you have a blog post that’s relevant and you don’t have a video you can reference, mention the post and that you’ll provide a link in the video description. I see an average of 5% click-through on video description links that I reference in a video. That means about 50 visitors to your blog for every 1,000 people that view the video. Get a video to go viral with a few hundred thousand views and you’ve got thousands of visitors to your blog. There are three or four paragraphs I add to the bottom of every YouTube video description. A paragraph about the channel and why people should join the community by subscribing, followed by the auto-subscribe link. A paragraph leading into my investing course funnel with a link to my free webinar. A paragraph and link to a lead magnet related to the video’s content. That link to the lead magnet has brought me thousands of email subscribers and multiples of that in affiliate sales and course purchases. A lead magnet is just a brief, one- to five-page, printable that goes into detail on a topic. This might be something like a checklist or quick bulleted guide to a process. You offer this free to email subscribers on the blog to get people into your community. *Important: Remember, you don’t want to change the video description after it’s already published. This will reset the meta-data and the video’s view momentum could suffer. Just add these links to new videos you post. While social media can be a big source of visitors for a new YouTube channel, managing multiple platforms and doing everything you need to engage can feel overwhelming. To that I would say, don’t feel like you need to be on EVERY social media platform. In fact, you could be wasting your time if you try being on too many. One of the biggest mistakes bloggers and YouTube creators make is the shotgun approach to social media. They link their new videos in a post on six different platforms and wonder why they never get any traffic from social. The problem is, they’re not being…SOCIAL! Social media is about engaging, building a relationship with people and the trust it takes for them to regularly care about what you’re saying. Simply spamming pages and groups with your links leads to worse than nothing because you’re actually building a bad reputation. The rate of engagement; that’s clicks, comments and likes per number of people that see a post, is tragically low on social media. Engagement with the average post on Facebook is just 0.17%…and that’s higher than most other platforms. On average just one person out of 600 that see a post are engaging with it through a like, click or comment. On Twitter, it’s as low as 0.05% and just as bad on Pinterest and LinkedIn. It’s much better to choose two or three social platforms on which you can really build a community. We’ll go over some strategy and how to do that for four platforms below but the overall idea will be the same. Build that relationship with your followers on social media and you can see engagement rates as high as 2% on your posts. That might not seem like much but it means you get someone engaging with your post for every 50 people that see it rather than needing 600 people to see it. Facebook is the powerhouse in social media and almost obligatory for anyone with an online business. With more than two billion users globally, your audience can be found on the social network. I say ALMOST obligatory because you could build a huge community on any of the other platforms. Even SnapChat with its relatively tiny platform still has over 250 million users. The moral here is to use whichever platform you enjoy and feel like you can most efficiently and effectively reach people. For a lot of people, Facebook still fits within that mantra. Most people have an account so the learning curve to using Facebook is faster than trying to learn how another platform works. Understand though that Facebook hates sending people off-site. All social platforms want to keep users on the platform but Facebook is probably the most ruthless at how it guards its traffic. In the past several years, this has meant limiting the reach of posts that include a link to another site. Facebook has also been limiting the reach of pages and groups, turning the platform into a pay-to-play model for anyone trying to reach an audience. The work-around to much of this has recently been to place the link to your YouTube video in the first comment of a post and calling attention to it in the post. That worked for a while to get the post shown to more people but it seems Facebook is now limiting the reach of posts with links in comments as well. 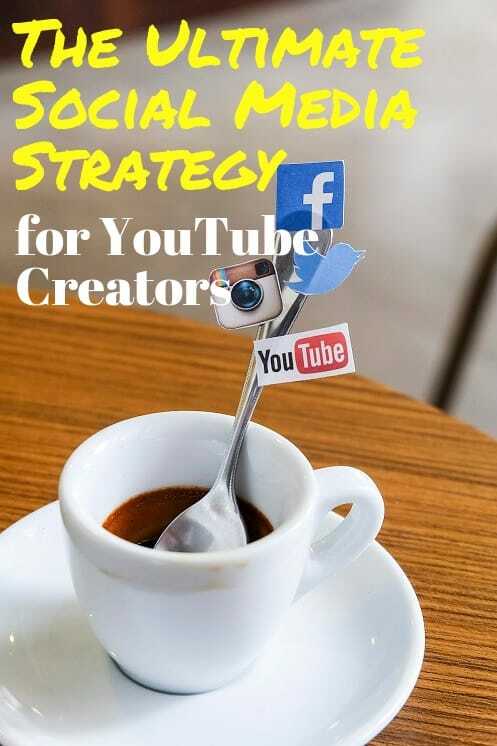 All this just means you need a defined strategy for promoting your YouTube channel on Facebook and the flexibility to evolve it as Facebook changes. Day One: Share a post with your video link. You can do this on your page, within your personal feed and where it’s relevant in groups in which you engage. Understand that a link will auto-populate your video that will play directly on Facebook. Instead, upload your thumbnail as an image and then add your link to make it clickable and send people to YouTube. Day Two: Share a 30- to 45-second clip of your video directly on Facebook and add a link to the whole video on YouTube. Day Three: Do a quick Facebook Live to talk about key points in the video and reference your link in the first comment. Day Four: Ask a question related to the video topic on your Facebook page and reference the video with a link in the first comment. Do this on a regular schedule and it will give you maximum exposure for each video as well as build a community directly on Facebook. Twitter may not have the reach as Facebook with ‘only’ 355 million users but it’s a relatively easy platform to promote your YouTube channel. Understand that the lifespan of a tweet is very much shorter than a Facebook post and that’s going to guide your strategy. For example, followers on Facebook might see your post for days after you publish and pins on Pinterest can be found for years. By comparison, it’s estimated that a tweet gets buried in a user’s feed within eight minutes of posting. This means you need to post continuously to make sure people have the opportunity to see your update. Even posting as much as ten times a day doesn’t guarantee that all your followers will see your tweet. To avoid annoying users with the same post, you need to change it up with each tweet. You can use quotes from the video, interesting data or graphics as well as list ideas. Anything to draw attention to the tweet in a different way. You’ll have the same linking problem on Twitter as we saw on Facebook so consider uploading your thumbnail image first and then the link so people are redirected to YouTube rather than watch the video on Twitter. The need for constant tweeting makes a social media tool like HootSuite an absolute must. The site allows you to connect your social media accounts and schedule updates for specific times. With HootSuite, you can even engage with your followers directly from the platform without clicking through to each social site. Pinterest is a different sort of animal compared to the other social platforms. In fact, it’s really more of a search engine than it is a social network. There are some advantages as well as disadvantages to that when it comes to promoting your YouTube channel. Because it’s a search engine, your shared video or pin doesn’t die as quickly as it does on Facebook or Twitter. If a pin starts showing well for a search term, you can get traffic from it for years after posting. On the downside, it can be difficult to build a community on Pinterest like you would on other networks. With Pinterest, it’s every pin for itself. Disadvantages aside, I would have to say that Pinterest is probably the one social media platform everyone needs to be on. Now I’ve never hit that 100K+ success on Pinterest but within a few months it had grown to my second-largest traffic source to the blogs. Whether you’re promoting a blog or a YouTube channel, Pinterest can send you thousands of visitors every month. Understand the type of pin, both style and format that works best on Pinterest. This means creating a long, portrait-style image for each video that you can use on the platform. You can include a description of up to 500 characters for each pin but a few hundred characters is a good target. This is going to help your pin show up in search and rank for certain keywords. You’ll also want to use hashtags for a few keywords important to your pin. Pin to one of your boards on the first day your video is published. Join Pinterest groups on Facebook or just reach out to other creators on Pinterest to share each other’s pins. Instagram is quickly becoming a powerhouse in social media with more than 100 million users. Since it’s owned by Facebook, you’re likely to see all the problems of linking and reach here as well. In fact, Instagram doesn’t even allow links in individual posts until you reach 10,000 followers so it’s all about building a community that will follow you. Instagram is much more a visual platform than Facebook. Similar to Pinterest, this means you need to put more time in creating the images that will get clicks and followers. Images should be a square format so they show without cropping and don’t necessarily need text. As with all social posts you make, a call-to-action is important to tell people what you want them to do. We’re so used to just scrolling through our social feed that most don’t even think about clicking through to watch a video or get more information. Your last sentence in every social post should be an explicit request for the reader to do something. Since Instagram is all about building a community, diversity of shares is important. Create a schedule for sharing quotes, lists, funny pics and other ideas besides just drawing attention to your new videos. Taking your channel off YouTube is one of the best ways to go beyond the normal creator and really grow your channel. The vast majority of creators spend less than an hour a week, spamming their video link on different sites and never really building a community. Not only will a blogging and social strategy help you leverage communities on different platforms but it will diversify your income sources for true business growth.